Iran and the Iranian people will lose because their suffering economy will not now benefit from the lifting of sanctions and other economic inducements that convinced it to sign the agreement in the first place. And yes, even the United States and Israel will lose because an agreement that would have pushed back by ten or fifteen years Iran’s timetable if it were to choose to develop a weapon will now be reduced to a year or less. And the United States will in particular lose because the entire world will understand that the word of an American president when entering into an international agreement cannot be trusted. The only winners from the withdrawal are President Donald Trump and Prime Minister Benjamin Netanyahu, who will enjoy the plaudits of their hardline supporters. But their victory will be illusory as the hard reality of what they have accomplished becomes clear. Failure of JCPOA definitely means that war is the only likely outcome if Tel Aviv and Washington continue in their absurd insistence that the Iranians constitute a major threat both to the region and the world. A war that might possibly involve both the United States and Russia as well as Iran, Saudi Arabia and Israel would devastate the region and might easily have potential to escalate into something like a global conflict. The decision to end the agreement is based on American domestic political considerations rather than any real analysis of what the intelligence community has been reporting. Deep-pocketed Iran-hating billionaires named Sheldon Adelson, Rebekah Mercer and Paul Singer are now prepared to throw tens of millions of dollars at Trump’s Republican Party to help it win in November’s midterm elections. 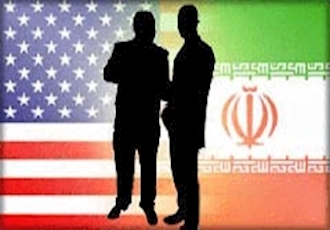 Those possessed of just a tad more foresight, to include the Pentagon and America’s European allies, have strongly urged that JCPOA be continued, particularly as the Iranians have been fully in compliance, but there is a new team in Washington. America’s just-confirmed Secretary of State Mike Pompeo did not exactly endorse the ludicrous Israeli claim made by Benjamin Netanyahu two weeks ago that Iran has a secret weapons of mass destruction program currently in place, but he did come down hard against the JCPOA, echoing Trump in calling it a terrible agreement that will guarantee an Iranian nuclear weapon. The reality is quite different, with the pact basically eliminating a possible Iranian nuke for the foreseeable future through degradation of the country’s nuclear research, reduction of its existing nuclear stocks and repeated intrusive inspections. The failure of the JCPOA is not about the agreement at all, which is both sound and workable. There is unfortunately an Israeli-White House construct which assumes that Iran is both out to destroy Israel, for which no evidence has been revealed, as well as being singularly untrustworthy, an odd assertion coming from either Washington or Tel Aviv. It also basically rejects any kind of agreement with the Iranian government on principle so there is nowhere to go to “fix” what has already transpired. The United States has changed in the past seventeen years. The promotion of policies that were at least tenuously based on genuine national interests is no longer embraced by either political party. A fearful public has allowed a national security state to replace a constitutional republic with endless war as the inevitable result. Presidents once constitutionally constrained by legislative and judicial balance of power have successfully asserted executive privilege to become like third world dictators, able to make war without any restraint on their ability to do so. If America survives, historians will no doubt see the destruction of the JCPOA as the beginning of something new and horrible, where the government of these United States deliberately made a decision to abandon a beneficial foreign treaty to instead opt for a path that can only lead to war.